Howard Hughes built his “Spruce Goose” in 1947, the largest airplane of his time. Today, Microsoft co-founder, CEO of Vulcan Aerospace, billionaire, owner of the Seattle Seahawks, and serial entrepreneur Paul Allen is building the world’s largest airplane, the Stratolaunch, a twin-fuselage airplane with wings as long as a football field. 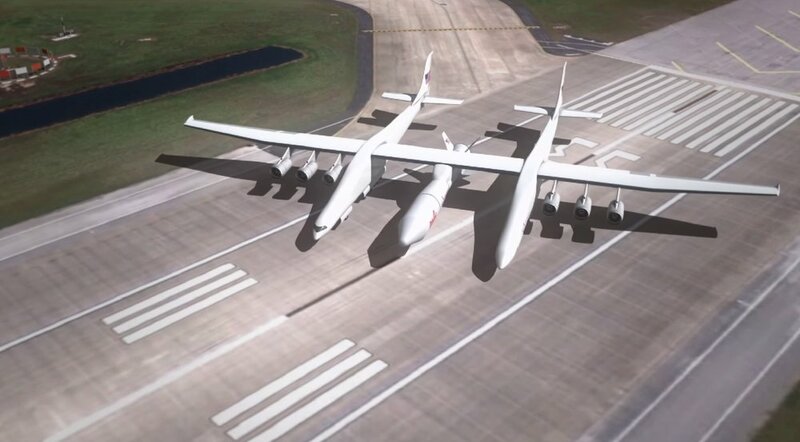 The purpose of the Stratolaunch, part of Vulcan’s “NextSpace” vision, is to carry rockets tethered to the underside of its fuselage to 35,000 feet at which time the rocket will be released, fire its engines, and launch into orbit. 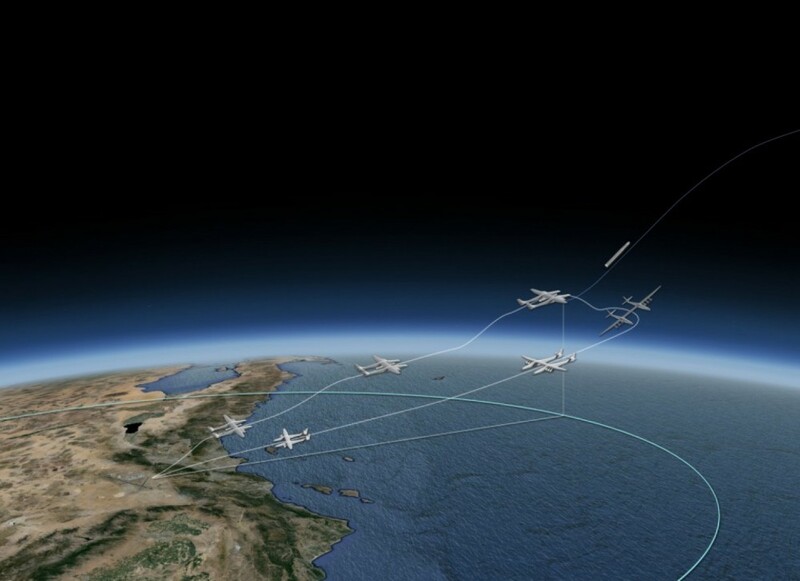 The aim of Stratolaunch is similar to Elon Musk’s increasingly successful attempts to make rocket engines reusable by returning them to the launch pad. Allen has a different solution for “reusability,” in that a plane that will do the heavy lifting, thereby saving costs on the initial launch. The main problem with current technology is that 80% of a rocket’s mass is fuel while the payload is just 6%. A great amount of money and energy goes to waste when the rockets holding this fuel are jettisoned. 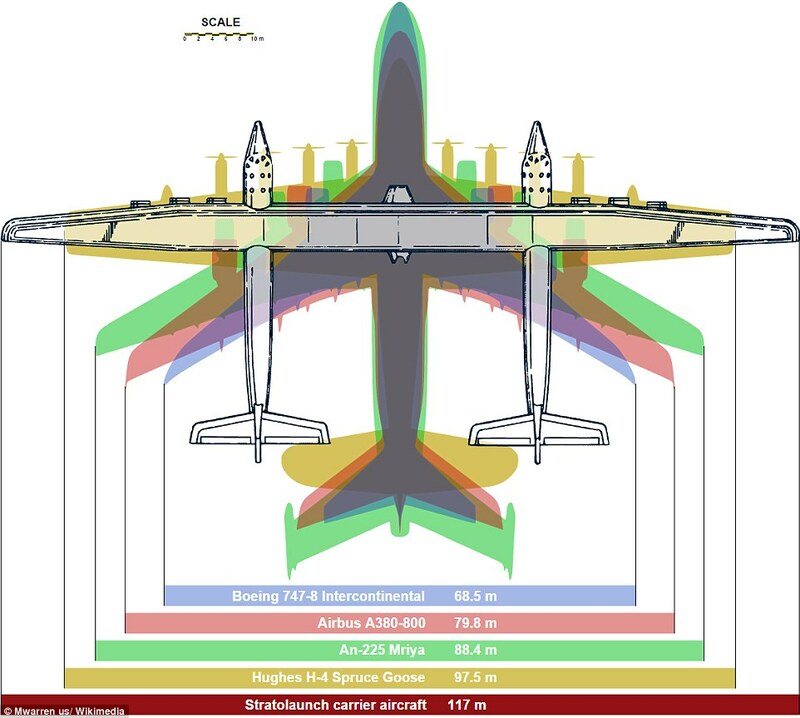 Stratolaunch, being built at the Mojave Air & Space Port in California, has 28 wheels and weighs more than 1.3 million pounds when fully loaded. Allen’s new baby is powered by six 747 engines and will require more than 60 miles of wiring to complete. 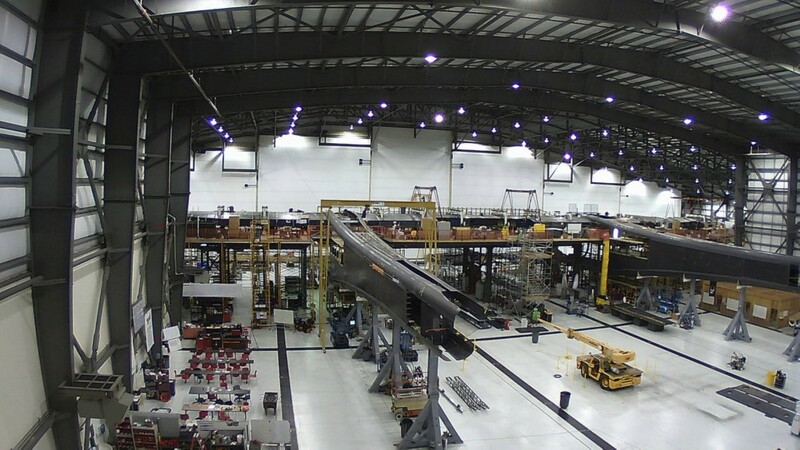 Reports suggest Stratolaunch is near completion with new progress announcements coming over the next several months and test flights within the next year.